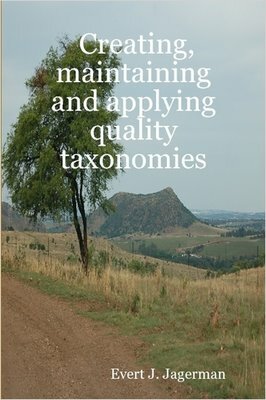 Evert Jagerman, manager of a large team of researchers and information professionals at McKinsey&Co's Amsterdam office, published his book on creating, applying and maintaining quality taxonomies. The book is the outcome of elaborate studies and evaluations in daily practice for his Masters Thesis. He graduated from Middlesex University, London. I was one of the members of the jury that day. A job well done!